We’re pleased to announce our 2018 Team Canada! This year’s team was chosen based on their results from 2017, love of the sport, and commitment to growing Spartan Race in Canada. 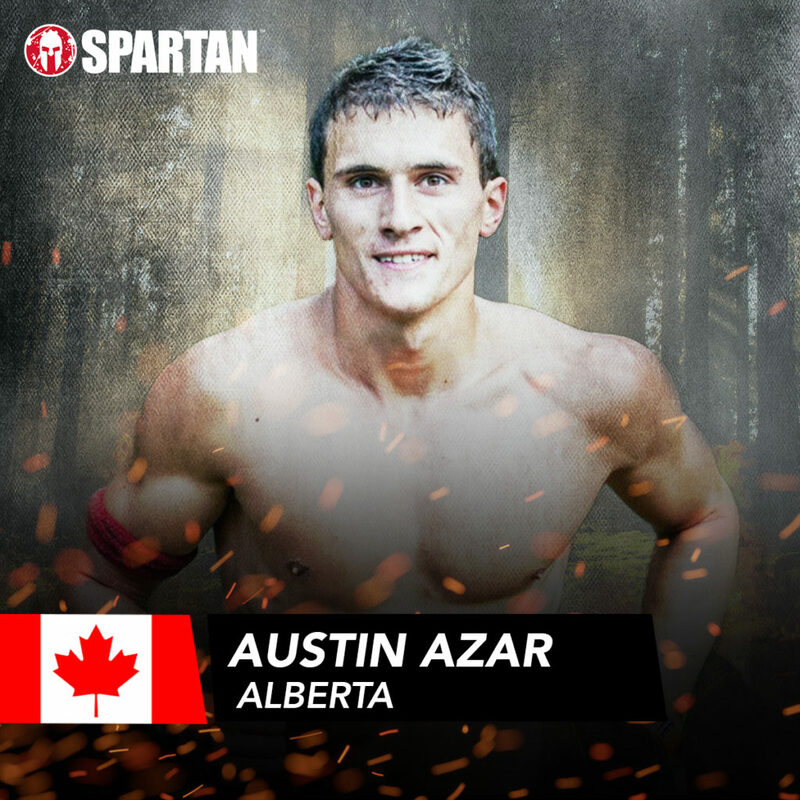 The Team represents some of the best OCR athletes in Canada, and will be racing across the country and in the US as they prepare to represent Canada at the 2018 Spartan Race World Championship in October 2018! 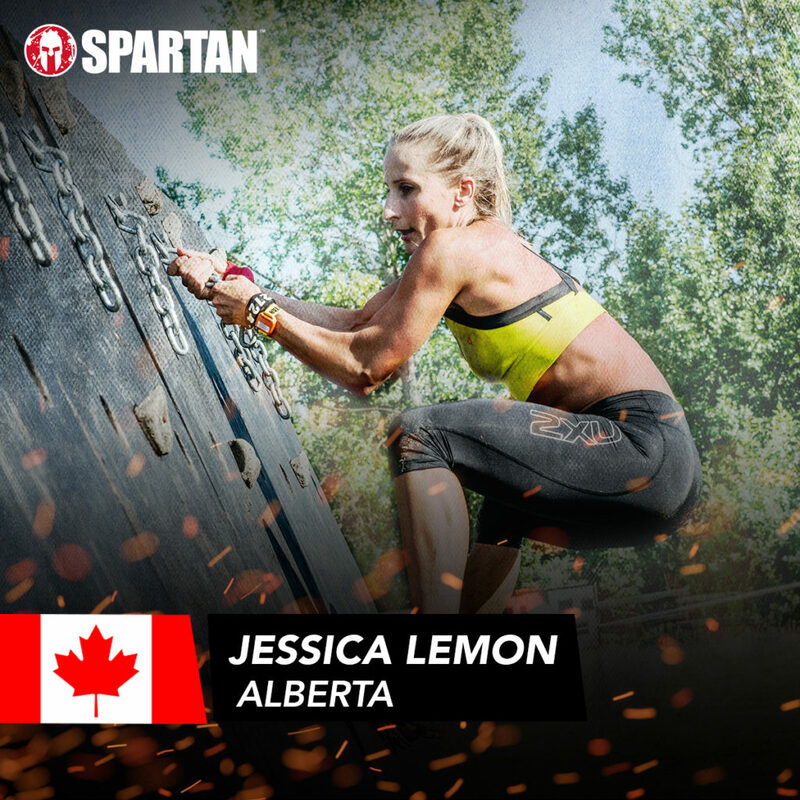 Keep a look out for for these athletes on the podium at your next Spartan Canada event! Lover of the outdoors. Mountain runner, rock climber, and mechanical engineering grad student at the University of Alberta. Just a guy trying to live the dream and be better, faster, stronger every day. Favourite Obstacles: The rig, or an epic heavy carry. Way to train: Running in the mountains and rock climbing. Cynthia grew up in rural Nova Scotia as the middle child of an active family. She dabbled in many sports such as gymnastics, swimming, karate & wrestling but was really inspired by her parents to become a “runner” in her early 20s. Typical of many runners, she progressed through distances from 5k to eventually marathons and ultras. In 2012, without knowing anything about the sport, she agreed to run a Spartan Sprint with a friend and she fell in love! The running! The mud! The hills! Even the burpees! 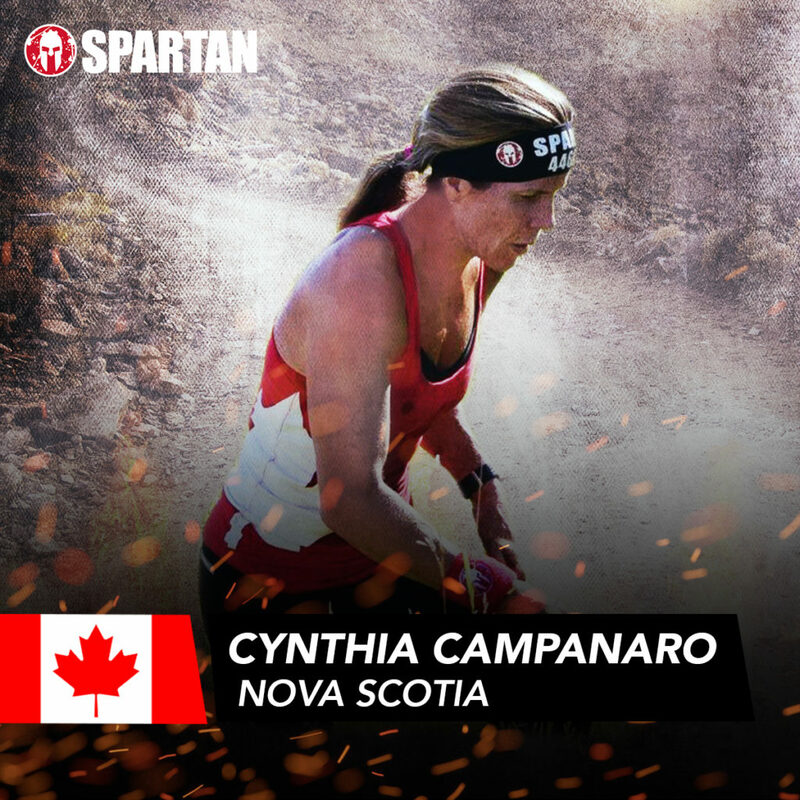 Cynthia placed 1st Masters female in every Spartan Canada race she entered last season, with 2 overall 1st place finishes (Ottawa Super and Quebec Ultrabeast). She finished 7th Masters female in the 2017 Spartan World Championships in Lake Tahoe and took 1st place at OCRWC in 45-49 age group. She is looking forward to this coming season to make new friends, run more hilly miles, and do fewer burpees! Favourite Obstacles: She has a love/hate relationship with The Rig and the Spear Throw! Way to train: Hitting the hills & trails and follow it up with backyard rig, spear throws and bucket brigade! Oh, and don’t forget the BURPEES! Samuel is a down to earth guy, who has been working for his own company in the field of human movement. His mission: to heal the society with the help of movement. His passion began 11 years ago when he started running for his high school’s cross-country team. 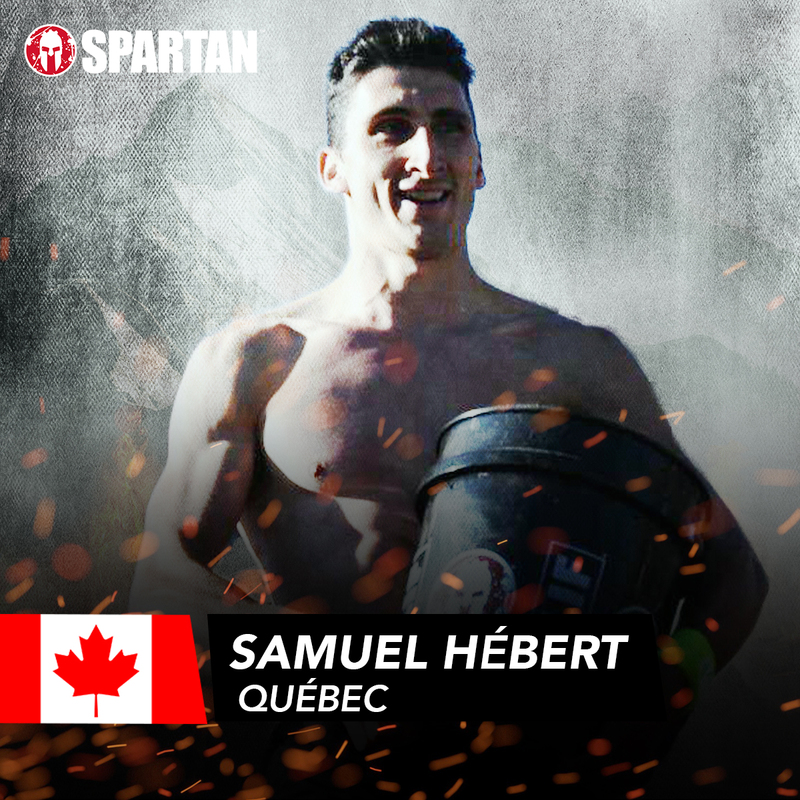 Samuel reached the top of the podium at the Montreal Spartan Sprint weekend in Owl’s Head in 2017 for 2 consecutive days. He finished the 2017 season with more than 10 Spartan podiums, 6 first places, and an attempt at the World Championship Spartan Beast in Lake Tahoe. With a world ranking in the top 40s, Samuel is now ready for his second year as a member of Team Canada and to push his limits and reach higher summits. 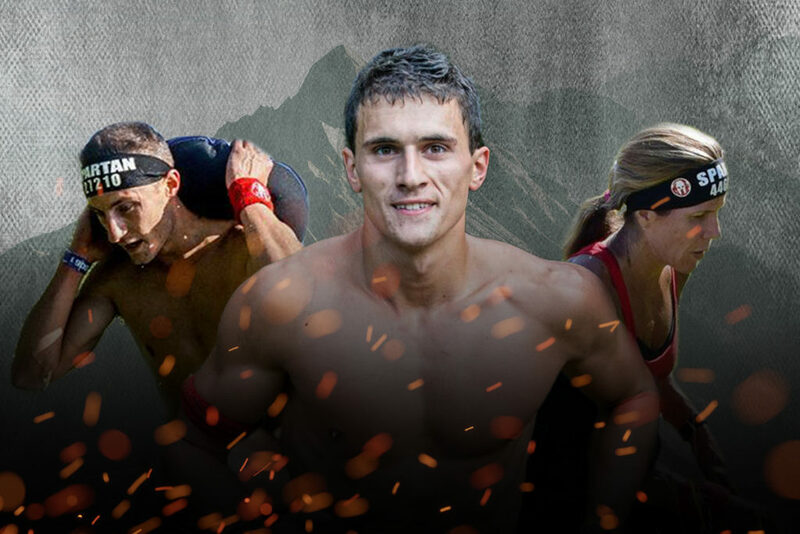 Spartan Race World Championship top 20 is the goal this year! Way to train: Planning for intensity is the key to positive physical adaptation. That said, Mental determination is the most important aspect to perform in this discipline. way to the 2018 Spartan World Championships. love challenging my body, working out hard and training with intensity. 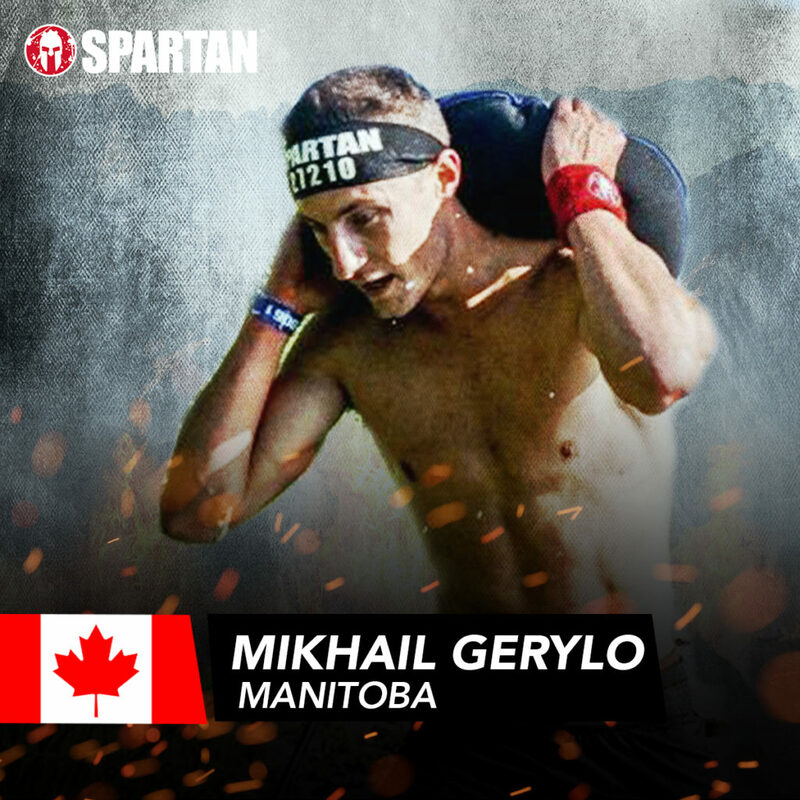 Mikhail Gerylo feels like he has found a home in obstacle course racing. He is a Phys -Ed. Teacher and Fitness coach who continues to expand his own athletic boundaries. 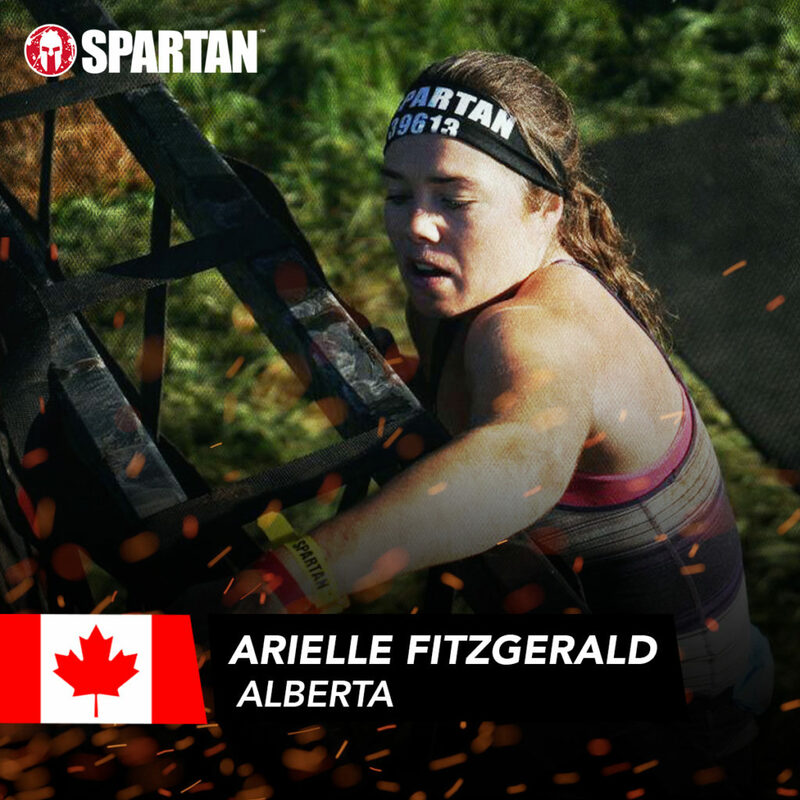 Mik was part of Team Canada in 2017 and competed at the Spartan World Championships in Tahoe after a very successful season. He reached the podium at every Canadian race he entered. This Winnipegger has a huge passion for modelling and motivating our next generation. Way to train: Anything that makes him feel like I’m training like an athlete. Functional circuits and a good trail run! Arielle has been an athlete for as long as she can remember, and has always found joy in pursuing new challenges. After spending the last two years racing ultra-marathons for Team Canada, Arielle has learnt a lot when it comes to overcome the mental obstacles that the sport brings. Though, as she shifts gears for the upcoming 2018 race season to focus on Spartan Race, Arielle is excited to take on the challenge of overcoming more than just mental obstacles, but learning how to overcome the physical ones as well! You can see her race again this season against Canada’s best. What makes a person an athlete? Is it the hours of training, or it is the moment of victory? Is it an action, or is it an attitude? At Spartan Race, we believe that being an athlete means more than participating in a sport. It transcends teams, rankings, and body types. An athlete is a body in motion.